The largest earthquake near the Virginia-West Virginia line in nearly 50 years appears to have left little to no damage. 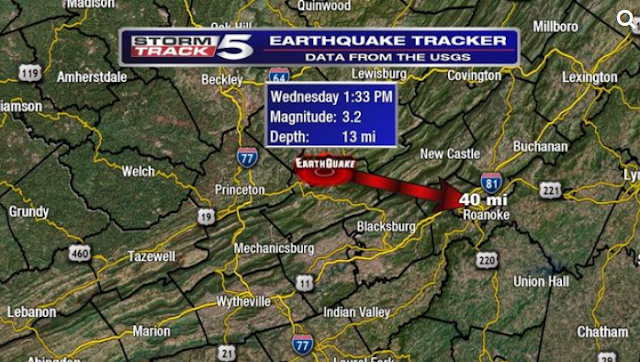 A Virginia Tech seismograph showed the epicenter just over the state line in West Virginia. The magnitude was between 3.7 and 4.0. However, the United States Geological Survey rated the earthquake as a 3.2. Martin Chapman, the director of the Virginia Tech Seismological Observatory, said the quake is the area's largest since 1968. Witnesses said it was loud and dramatically shook the earth.